Co-chairs of the legislature’s Insurance and Real Estate Committee called on the president Thursday to reverse himself and leave the health law alone, while detailing the ways Connecticut residents would be impacted if the ACA disappears. “Our constituents literally cannot afford to have the Affordable Care Act repealed, and to do what he’s doing now is going to jeopardize so many lives here,” Rep. Sean Scanlon, D-Guilford, said of Trump. Earlier this week, Attorney General William Tong and legal leaders in 20 other states filed an opening brief in their appeal of Texas v. the United States, the lawsuit brought by a coalition of Republican-led states that argues the entire health law should be invalidated. Tong and others have charged that every provision of the Affordable Care Act should remain intact. If the U.S. Court of Appeals for the Fifth Circuit sides with the Trump administration, tens of millions of people nationwide could lose their health insurance. How many people would lose their health insurance? In Connecticut, 111,066 residents purchase their insurance through Access Health CT, the state’s health care exchange. Another 267,722 low-income adults (aged 19 and older without minor children) have coverage through the ACA’s expansion of Medicaid, known as HUSKY D in this state. In addition, about 14,000 young adults could be kicked off their parents’ insurance plans, since the health law requires employers to cover their workers’ children up to the age of 26. If the law were tossed out, employers would have to decide whether they wanted to continue providing the benefit. According to the Henry J. Kaiser Family Foundation, 522,000 adults in Connecticut have pre-existing medical conditions that could disqualify them from purchasing health insurance or force them to pay higher premiums if the law were struck down. And the Brookings Institution found that 1.2 million people in the state would be subject to lifetime limits on health insurance if the ACA were overturned. Could the state lose funding? Yes. Last year, Connecticut received about $1.4 billion in federal funding for the Medicaid expansion (HUSKY D), legislators said, citing figures from the state’s nonpartisan Office of Fiscal Analysis. The state also expects to get $449.6 million this year in premium tax credits. The subsidies are used to lower monthly insurance payments for people enrolled in plans through the exchange. Budget officials have said billions more could be lost in business output and gross state production, and Connecticut could lose millions in state and local taxes tied to the ACA. Are there any protections at the state level? Yes. Connecticut law prohibits insurers from denying coverage to residents with pre-existing conditions in most of the policies they sell here. 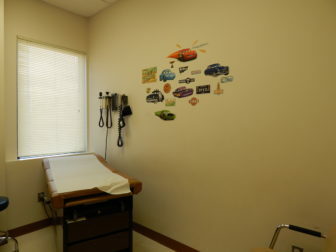 But that protection, along with the state-mandated “essential health benefits” that all insurers in Connecticut must provide, is predicated on the existence of the ACA and would be vulnerable to repeal if the health care law no longer exists. What’s the state’s role in the lawsuit challenging the ACA? Tong has joined 20 other states in appealing a lawsuit brought by a group of Republican attorneys general and governors from states such as Texas, Alabama, Florida and West Virginia. On Monday, the Tong and the others, which include legal officials from California, Massachusetts, New Jersey and New York, filed their opening brief, arguing that all provisions of the health law should stand and detailing the harm that declaring the ACA invalid would have on the tens of millions who rely on it. The Republicans’ lawsuit surfaced early last year. The same day the brief was filed, the Trump administration sent a two-sentence letter to the appeals court asking it to affirm a decision issued in December by Judge Reed O’Connor of the Federal District Court in Fort Worth. O’Connor ruled that the individual mandate requiring people to carry health insurance couldn’t be sustained because Congress had wiped out the tax penalty levied on those who don’t buy insurance. 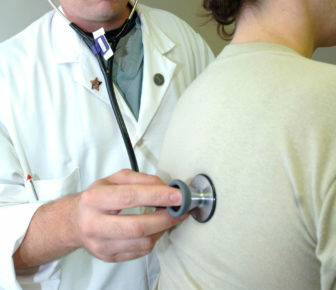 Without the individual mandate, the judge said, the rest of the health law also is invalid. The move was a departure for the Trump administration, which previously had said the law’s protections for people with pre-existing conditions should be overturned, but that the rest of the ACA should remain.